What does membership in Vizsla Canada offer? 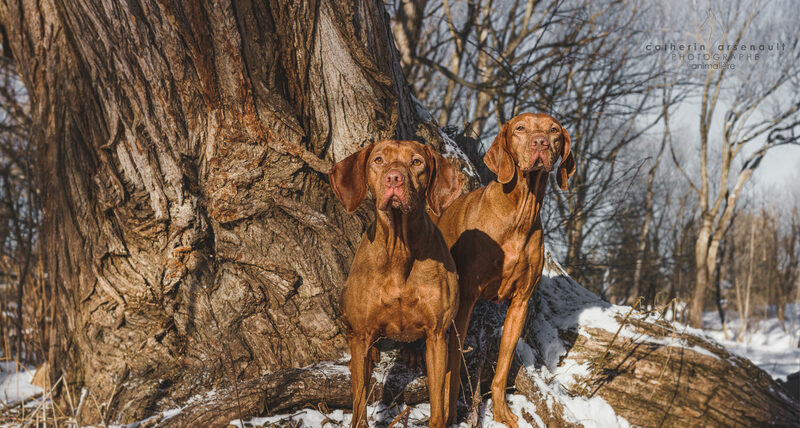 A printed newsletter and great e-news emailed to members that report on Vizsla activities and issues from a coast to coast perspective, plus an opportunity to be involved in national events and issues and unique club offerings which are only available to members. There are six (6) classes of membership in Vizsla Canada Inc.: Regular, Provisional, Honorary, Life, Junior and Affiliate Club. One must first apply as a Provisional Member (if 18 years of age or over) or as a Junior Member if between the ages of 10 and 18, before being eligible for any of the other classes of membership. Please review the most current Bylaws on the club information page for details of our membership categories. A brief description of the Provisional, Regular, and Junior classes follows. Regular membership is restricted to Club members in good standing who have completed 12 consecutive months as a Provisional member; and have been granted Regular Membership status by the Board. Each Regular Member has one vote. A Family Membership is available to members and is defined as two (2) individuals, only, who are age 18 and over living at the same address, each of whom shall have one vote. Provisional Members don’t have voting rights and can’t hold office. Applicants must be 18 years or older and may apply for a Single for a Family Membership. Names of applicants are published in the next Club newsletter following receipt of an application. Following 12 uninterrupted months of membership, Provisional memberships are reviewed before granting Regular Membership. Member Breeders of Vizsla Canada! Join your new puppy owners and receive a discount on memberships submitted by you on behalf of your puppy owners. Please see the following VC New Membership Application Form for details. Complete the following VC New Membership Application Form and submit to our Membership Chair for processing. Supporting PayPal or Credit Card payments can be made via the Vizsla Canada Club Store. Applications will be processed upon receipt of payment.